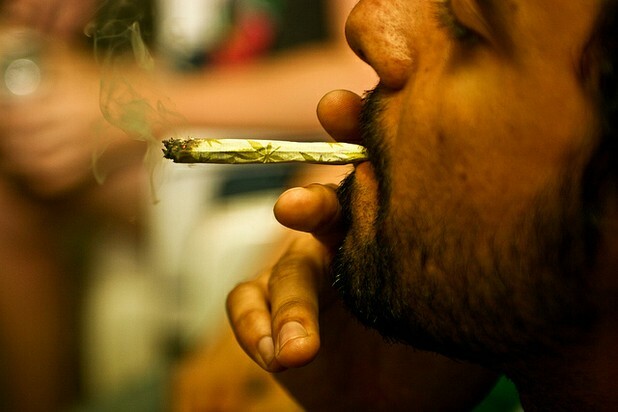 Chronic use of marijuana leads to lasting but reversible changes in the number of cannibanoid receptors in the brain. Researchers at the National Institute or Health (NIH) and the National Institute of Drug Abuse (NIDA) say they’ve shown for the first time that heavy and chronic marijuana use causes lasting changes in the brain. Marijuana exerts its effects by activating cannibanoid receptors in the brain. The researchers compared healthy non marijuana using control subjects with chronic marijuana smokers, and they found that chronic marijuana smokers had 20% fewer cannibanoid receptors in the brain than the control subjects. Cannibanoid receptors in the brain play a role in the perception of time and movement, in memory formation, in regulating feelings of pleasure and concentration and in general sensory perception. When the chronic marijuana smokers abstained from using marijuana for a month, cannibanoid receptor levels in the brain returned to a normal level, indicating that marijuana induced brain changes are reversible with abstinence. Lead study author, Jussi Hirvonen, MD, PhD, commented in the significance of the study results, saying, 'With this study, we were able to show for the first time that people who abuse cannabis have abnormalities of the cannabinoid receptors in the brain. This information may prove critical for the development of novel treatments for cannabis abuse. Furthermore, this research shows that the decreased receptors in people who abuse cannabis return to normal when they stop smoking the drug." The research findings were presented at SNM's 58th Annual Meeting, which is a conference on molecular imaging and therapy.